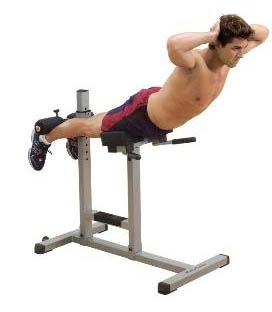 Designed to build strength in the most important muscles of your body and give you maximum efficiency in developing Abdominal muscles, Lower Back, Glutes and Hamstrings. Quick-release pop pin and full-range adjustable roller pads accommodate every user. Features two super thick Torso support pads for complete comfort and safety.